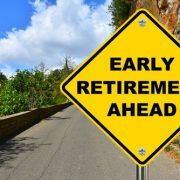 One of the many advantages of opening a Self-Directed IRA account with American IRA, LLC is the ability to allocate retirement resources to private equity opportunities. These tend to be early stage or turnaround opportunities that provide the potential for outsize returns and diversification against an increasingly overheated stock market. However, Self-Directed IRA owners should be prepared to absorb a good deal of risk, as well as accept the burden of conducting thorough due diligence. Do not be rushed. Professional private equity investors and venture capitalists can take entire days or weeks investigating an opportunity before actually investing. Self-Directed IRA owners should be willing to do the same. Even if the opportunity seems compelling at first, you should still take the time to verify promoters’ claims and check the accuracy of all the assumptions underlying the investment thesis. Go big. When they do find a good opportunity, though, most successful private equity or venture capital investors like to commit a substantial sum of money. It takes so long to identify a good opportunity, and to thoroughly vet the opportunity and the management team, that when they do find a good investment, in or out of a Self-Directed IRA, they like to make it count! It may be better to invest $1 million in your best five candidates than $50,000 each in the best 20. Do not go it alone. Many of our most successful private equity investors and venture capitalists are active in clubs or networks of likeminded individuals. 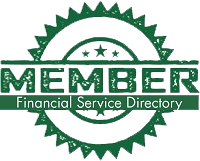 Members of these clubs often have loads of useful management, financial or technological knowledge or experience. They may well help expose you to some great opportunities. Even more importantly, they may help dissuade you from investing your Self-Directed IRA money in bad ones. Management counts. Even a great idea needs great leadership in order for the company to unlock value for investors. If they cannot provide that, they have no business soliciting investment from the capital markets in the first place. Find out what key managers have been doing over the past ten years. Do they have a track record of success? Is this their first venture? If so, who is helping them? Who is on the Board of Directors and what is their track record? Were their past successes in the same industry? Do any of them have rapsheets? Have they been barred from any industries by licensing bodies? What are they bringing to the table? What strategic partnerships are in place already that may help the venture succeed? Is the Board of Directors cross-pollinated with other key industry players that can help the company succeed? Has the venture already attracted other veteran angel investors or others who can help the company succeed? Are the financials and pro formas accurate and realistic? Many people have lost money by being too credulous of managements’ pie-in-the-sky assumptions and projections. Look at financial projections with a suspicious and gimlet eye. What is the plan for return of capital? Any investment should have a realistic provision for the return of capital. Sometimes it may take years – in which case you should come armed with a long-time horizon and a lot of patience. But promoters and managers should be able to walk you through their plan from investment to exit. Buy A Retirement Home With Your Self-Directed IRA!